Hi everyone since Father's Day is almost upon us, it's time to start thinking about a card for the special men in your life. 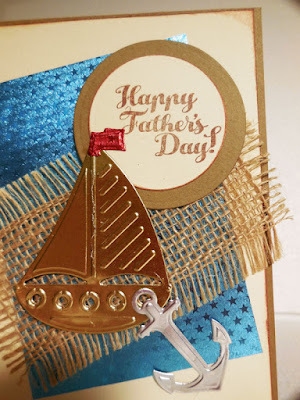 Creating a card from kraft cardstock, I added cream cardstock on top. Next, I cut Turquoise/Turquoise Star Struck Foiled Paper and placed it on an angle on the card. 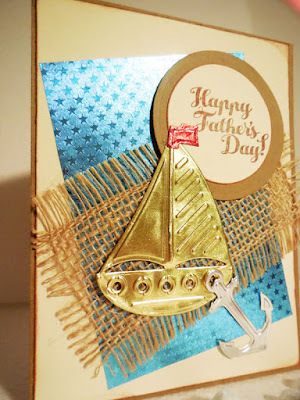 I placed a piece of burlap on top, then added a stamped and die cut phrase using the Joy Clair Dad's Day stamp set. 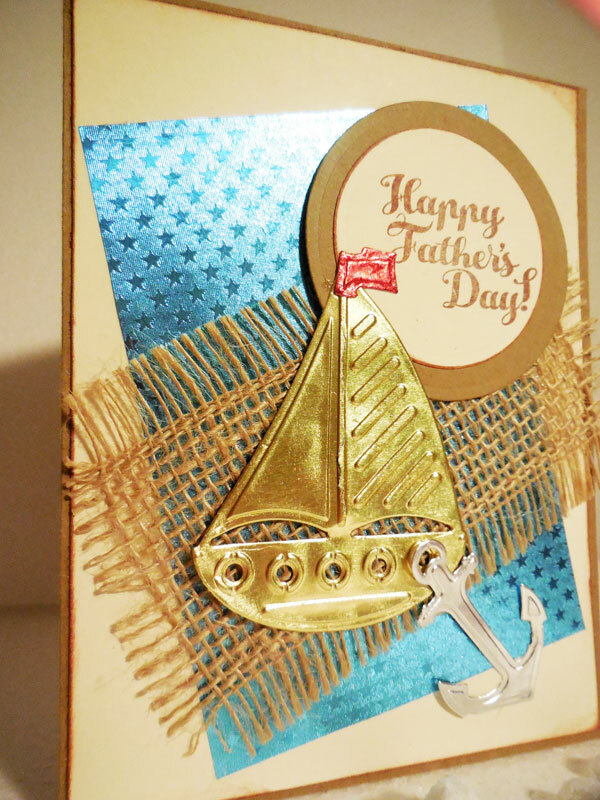 Using sail boat dies from Spellbinders, I die cut the sail boat from Gold/Gold Glossy Foiled Paper, the anchor from Silver/Silver Glossy Foiled Paper and the flag from Ruby/Ruby Star Struck Foiled Paper. 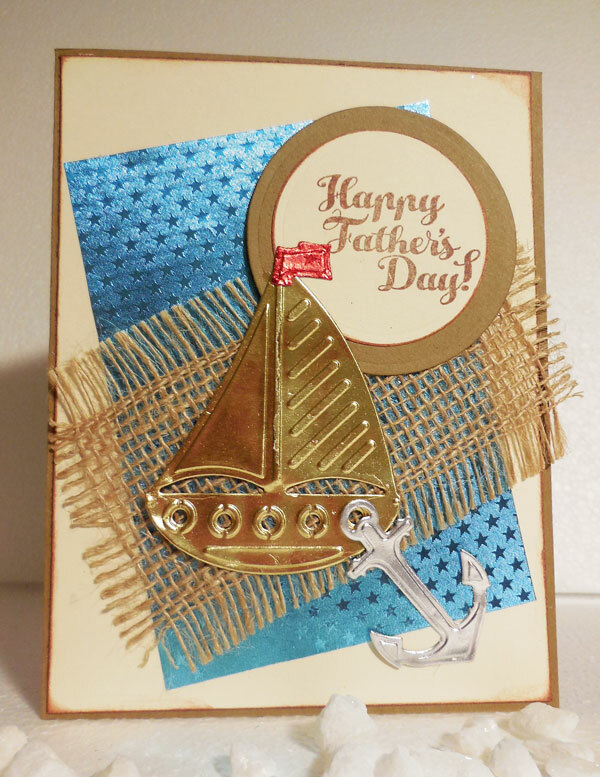 I added the anchor and flag to the sail boat with Beacon Adhesive, then added the sail boat to the card front, overlapping the phrase. What do you think? Don't you love how amazing the Rinea Foiled Paper looks?